This year marks the 50th anniversary of the 1963 Birmingham Children's March. As we look back over the Civil Rights Movement and the progress that's been made in the past 50 years, we also invite you to look specifically at this once seldom-known event in which thousands of Birmingham students voluntarily went to jail in the name of freedom. We'll have some great insights into the movement, the book and the author right here on Peachtree's blog, and we'll also have a great team of reviewers here to introduce you to We've Got a Job: The 1963 Birmingham Children's March. PS. If you haven't seen our We've Got a Job Pinterest board, check it out here! 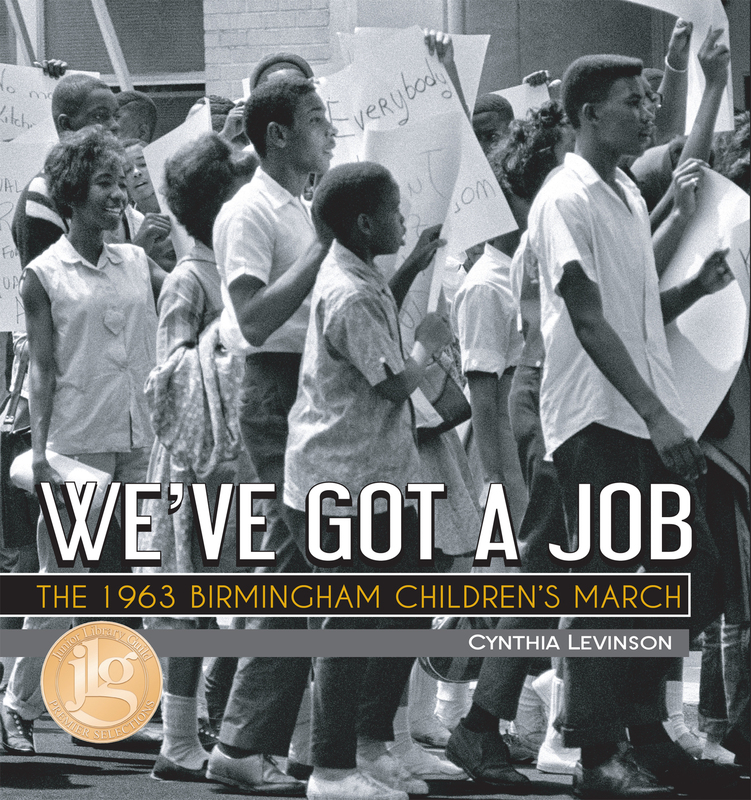 You can also keep up with the We've Got a Job timeline with author Cynthia Levinson on Twitter, @CyLev -- look for #childrensmarch! Check out Alabama Public Radio's documentary on the children's march!